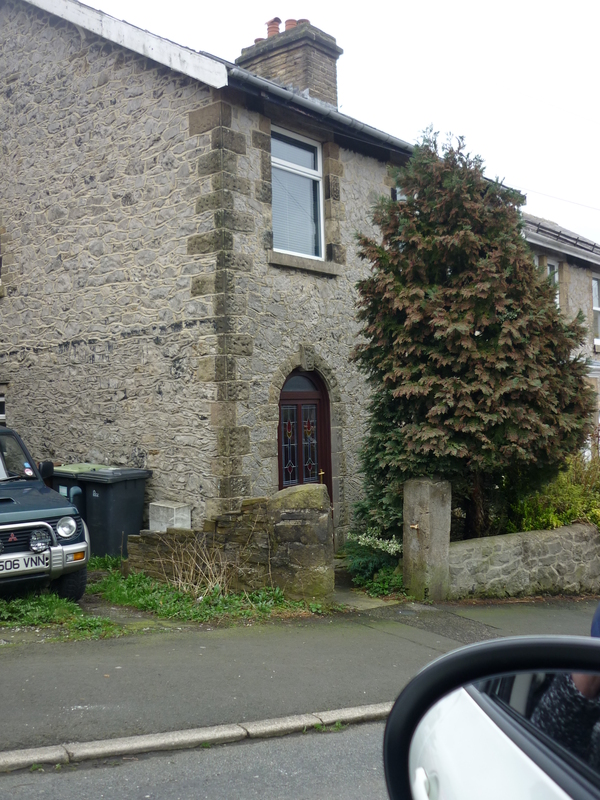 Born: 1895 Fairfield registered Chapel-en-le-Frith Vol 7b Page 839 Mark was born on the 28th May 1895, the only son of John Thomas and Emma Wardle, at 3 Cross Street, Buxton. Mark was baptised 14th July 1895 at St Peters Fairfield. His parents had married in O/N/D Qtr 1894, Mark had four half-brothers and sisters from his mother’s first marriage to Arthur Richards, Isaac, Ellen, May and Arthur. Clifford started North Road School on 7th November 1899. 1901 Census: Living at 3 Cross Street aged 6yrs. 1911 Census: Living @ 51 Windsor Road. 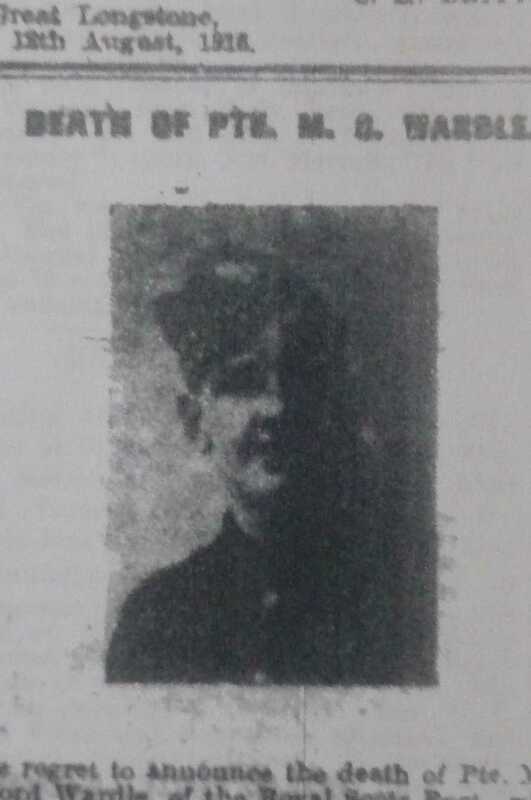 1916: Attested on 31st August after enlistment on 21st August 1916, he was living at 51 Windsor Road. Marks occupation was a Grocery Assistant. 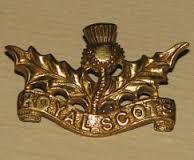 Before serving in France Mark had served in Ireland whilst there he was hospitalized with a Boil on his back. 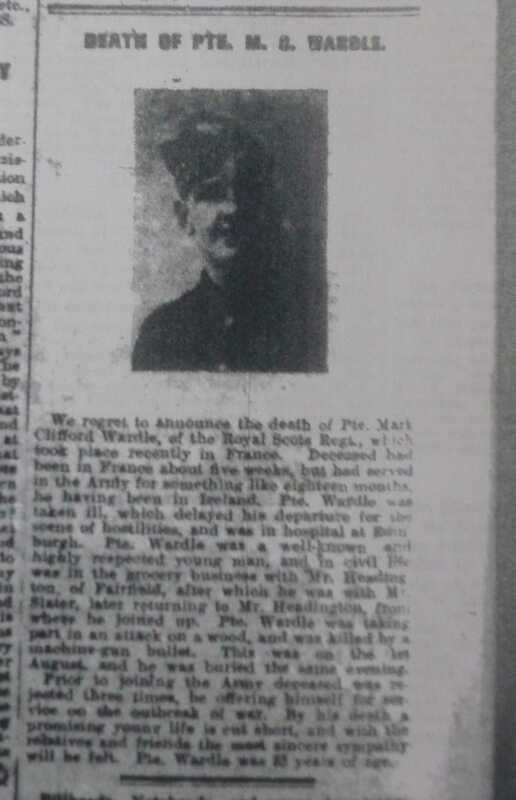 Mark also had 2 separate spells in hospital in Scotland, following his discharge in April 1918 he then went to France with his regiment, he was killed only 4 months later. Badge added to Find a Grave Memorial 15/3/13 by wrig.